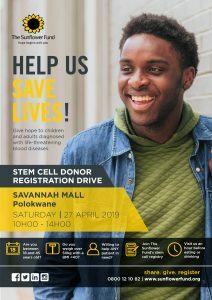 [18 April 2019] Former Ajax Cape Town soccer star and actor Eric Macheru is teaming up with The Sunflower Fund, for a national drive to recruit (bone marrow) blood stem cells donors. The Sunflower Fund is calling on individuals between the ages of 18-45 years, in general good health with a weight of more than 50kgs and a BMI of less than 40 to register as donors. A public registration drive will be held at Savannah Mall in Fauna Park from 10:00 until 14:00 on Saturday, 27 April. Eric Macheru will also be making an appearance at the drive. [17 April 2019] Every year individuals around the world are diagnosed with Leukaemia and other life-threatening blood diseases. For many, their only hope of cure is a life-saving blood stem cell transplant. 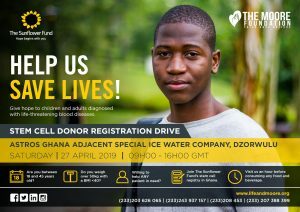 The Sunflower Fund in partnership with The Moore Foundation and the National Blood Service Ghana will be hosting a stem cell donor and blood drive on Saturday 27 April 2019 at the Astros Ghana Adjacent Special Ice Water Company, Dzorwulu from 09h00 to 16h00. 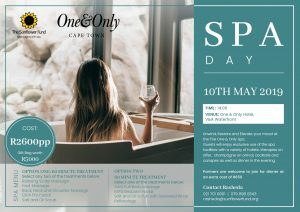 [3 April 2019] The Sunflower Fund will be hosting their second annual Spa Day at the One & Only Hotel and Spa on 10 May 2019. Situated in the picturesque V&A Waterfront, the pillars of the One and Only Spa is to unwind, restore and elevate. This unique 5-star pamper experience is not to be missed. 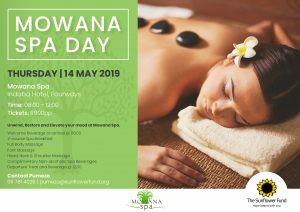 [2 April 2019] Treat yourself to a morning spa pamper journey with Mowana Spa at the Indaba Hotel, Fourways in aid of The Sunflower Fund. The event takes place on 14 May 2019 from 08h30 -13h00. 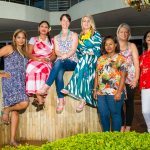 Guests will be treated to a delicious 2-course spa breakfast, complimentary non-alcoholic beverages and 3 relaxing pamper treatments comprising Full body massage either with or without Hot Stones, a Relaxing Head, Neck and Shoulder Massage and a Foot and Lower Leg Massage for the ultra-pamper. 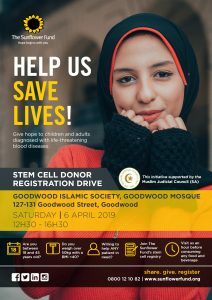 [28 March 2019] The Goodwood Islamic Society is teaming up with The Sunflower Fund, in support of one of their community members Dr Nabeelah Ismail who was recently diagnosed with Acute Lymphoblastic Leukaemia (ALL). A (bone marrow) blood stem cell donor drive will be held at the Mosque in Goodwood Street on Saturday, 6 April from 12:30 to 16:30. Everyone between the ages of 18-45 years with a BMI of less than 40 and a consistent weight of more than 50kgs is invited to register to be a blood stem cell donor and give the hope of cure to someone diagnosed with a blood disease. The drive is to create awareness and education about blood diseases and to drive interest for people to register as blood stem cells donors. [29 March 2019] The Sunflower Fund will be revisiting an era of definitive splendour at their 13th Annual ‘Black & White’ Charity Ball taking place on Friday, 24th May at Durban’s landmark Southern Sun Elangeni Hotel at 6.30pm. At the helm are prominent sponsors Araujo Attorneys, IBV Gold, Sweidan & Co and Trellidor who have joined forces once again to steer yet another successful instalment of this renowned premier event. [26 March 2019] If you are taking part in this year’s Two Oceans and Comrades Marathon, then why not do it for a worthy cause? The Sunflower Fund is appealing to all interested runners to consider championing their worthy cause by participating in their 2019 Miles4Hope fundraising and awareness campaign. [18 February 2019] The Sunflower Fund invites you to join them on Saturday, 9 March 2019 at the beautiful The Hilton Hotel in Sandton for an occasion of fun, food and inspiration. Brett Archibald, Author of the book ‘Alone’ will share his thrilling ordeal about when he fell off a yacht, survived the treacherous ocean, and was found alive 28 hours later! The Lunch will take place at 11.30 for 12 00. 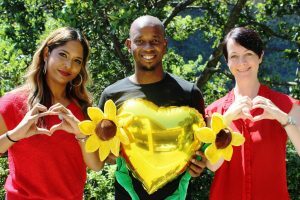 [18 February 2019] Former Ajax Cape Town soccer star and actor Eric Macheru is teaming up with The Sunflower Fund, for a national drive to create awareness and education about blood diseases and to drive interest for people to register as blood stem cells donors. The Sunflower Fund is calling on individuals between the ages of 18-45 years, in general good health with a weight of more than 50kgs and a BMI of less than 40 to register as donors. Upcoming donor drive : 2 March 2019 from 09h00 to 13h00 at Spine Road High in Mitchell’s Plain Cape Town. en making low-carb lifestyles easy, delicious and convenient by developing a range of sugar-free premixes, cupboard essentials and single ingredient lifestyle supplements. 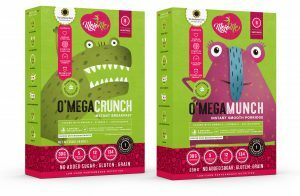 The entire MojoMe range is nutrient-dense — full of good stuff and free from bad stuff, which means NO added sugar, artificial sweeteners, grains, gluten, starch flours, additives or preservatives, making the products perfect for families and anyone wanting to eliminate empty calories, toxins, refined and processed foods from their diet. [18 February 2019] The Sunflower Fund invites you to join them on Saturday, 9 March 2019 at the beautiful The Hilton Hotel Sandton for an occasion of fun, food and inspiration. Brett Archibald, Author of the book ‘Alone’ will share his thrilling ordeal about when he fell off a yacht, survived the treacherous ocean, and was found alive 28 hours later! The Lunch will take place at 11.30 for 12 00. The Sunflower Fund will host their 11th annual Golf Day on 7 May 2019, at the immaculate and exquisite greens and fairways of the Pearl Valley Golf Estate, at the Val de Vie Estate in Paarl. 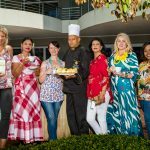 As an ode to all things summer, the 13th Annual Sunflower Fund Ladies Breakfast will take place on Saturday, 2nd March 2019 at the idyllic Coastlands Musgrave Hotel, 315 Peter Mokaba Ridge, from 8.30am to 11am. 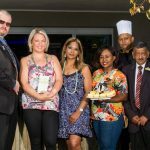 Guests can expect yet another meaningful morning of fun, food and inspiration as this calendar event has become renowned for. The Sunflower Fund in KZN is appealing to all interested sportsmen and women who will be taking on the aQuelle Midmar Mile, Dusi Canoe Marathon, Comrades Marathon or Amashova Durban Classic Race in 2019, to consider championing their worthy cause by participating in their 2019 Miles4Hope fundraising and awareness campaign. Less than two years after being diagnosed with Aplastic Anaemia, 25-year old Jody Lenders finds himself in desperate need of a blood stem cell (bone marrow) donor, as a transplant is his only hope of cure. Jody who has been in Tygerberg Hospital since November 2018, is holding onto the hope that a donor would be found. 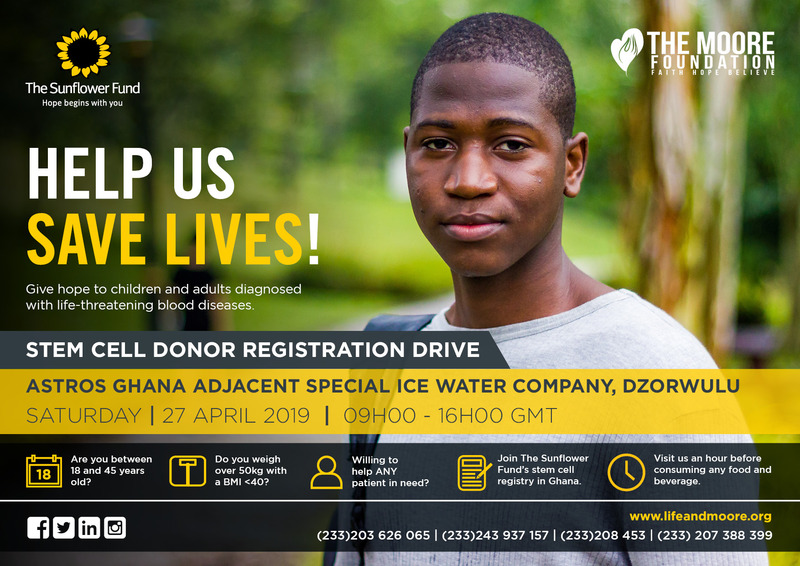 South African NGO The Sunflower Fund and Ghanaian NGO The Moore Foundation have signed a memorandum of understanding to increase the number of registered bone marrow/ blood stem cell donors from Ghana and to grow the registry for Africa. Bone Marrow Stem Cell Donation and Leukaemia Awareness Month is commemorated annually from 15 August to 15 October. With very little focus and fanfare around this very important topic, The Sunflower Fund is calling out to all South Africans. The fight against leukaemia and other blood diseases is all about you, your family, friends, peers and the community. You can do something to make a difference to patients needing a (bone marrow) blood stem cell transplant. The action is simple: Purchase your TOPE (Tube of Hope) and celebrate Sunflower Day on 20 September. TOPES go on sale on 7 August 2019. All profits go towards recruiting (bone marrow) blood stem cell donors. It’s a New Year and once again time for the resolutions that we love to hate to make, but we make them anyway. One of the best ways to stick to your commitment is to do it for charity. Add a good cause to your personal 2019 challenge and you will have added the motivation to see it through. The Sunflower Fund is calling for individuals who are tackling a personal challenge such as a run, race, walk, climb, swim or paddle to join their #Miles4Hope campaign and use your personal challenge to raise funds for the fight against blood diseases like leukaemia, sickle cell disease and aplastic anaemia to name a few. Most South African’s are familiar with The Sunflower Fund’s Sunflower Day campaign as an awareness and fundraising initiative to recruit blood stem cell donors and give the hope of life to patients diagnosed with leukaemia and other blood diseases. The untold story however, is that of the economic impact of the jobs created by the production of the 200 000 TOPES which are sold during the campaign period. The Sunflower Fund, a donor recruitment centre and registry in Cape Town has partnered with the Centre for Proteomic and Genomic Research (CPGR) to HLA test potential blood stem cell donors using the most advanced technology in HLA testing known as Next Generation Sequencing (NGS). Bone Marrow Stem Cell Donation and Leukaemia Awareness Month is commemorated annually from 15 August to 15 October. With very little focus and fanfare around this very important topic, The Sunflower Fund is calling out the hero in all South Africans. The fight against leukaemia and other blood diseases is all about you, your family, friends, peers and the community. You can do something to make a difference to patients needing a blood stem cell transplant. The action is simple: Purchase your TOPE (Tube of Hope) and celebrate Sunflower Day. Getting ready for The Sunflower Fund Women’s Day Charitea is Mary-Lynn Muruges of Sanlam, Nu Metro’s Nonkululeko Khoza, Muhammad Suhail Arbee of Chateau Gateaux and The Sunflower Fund’s Tanith King. The fairway has been cleared for the 13th Annual Sunflower Fund Golf Day taking place on Tuesday 24th July at the distinguished Mount Edgecombe Country Club and players can expect a fabulously fun day as they swing into action for a great cause. Gardening enthusiasts gathered in excitement for the eagerly anticipated Annual Gardener Breakfast in support of The Sunflower Fund that took place on Thursday 21st June at the picturesque Chantecler Hotel in Botha’s Hill. Proud financial sponsors MPACT Recycling and CC&A Insurance showed their mettle in backing this worthwhile initiative. the highlight being World Blood donor day on 14 June. Raqeeb Palm (4) was diagnosed with Aplastic Anaemia in 2016 after his mother Zaida Palm, noticed abnormal bruising on his body. He had to undergo various blood tests and two bone marrow biopsies over a two-month period, before being diagnosed with the rare disease which damages bone marrow and stem cells. Raqeeb, who needs a stem cell transplant, has so far been unable to find a match, both locally and internationally since his search was activated last year. On Sunday 14 January 2018, Johannesburg based Leukaemia survivor – Ray Funnell will set off on an epic journey to the Andes Mountains in an attempt to summit Aconcagua, the highest mountain in South America. Cape Town, South Africa—The Centre for Proteomic and Genomic Research (CPGR) today announced that it has entered into a partnership with The Sunflower Fund (TSF) to make best-in-class stem-cell typing solutions available on the African continent. In addition to providing high-resolution HLA typing, the partnership will create a data repository that integrates and makes available data generated through next-generation sequencing as well as complementary donor information.